Need a Garden Home Office in London? Combine the convenience of being close to home but away from the everyday distractions that might impact upon your creativity and productivity. According to a recent survey, home workers are “happier and more productive” than their counterparts who battle the London traffic congestion or over crowded Tube to get to work. Little wonder then that creating your own work space in your very own back garden has become hugely in vogue. Our garden home offices typically cost less than a home-extension or a loft conversion, add potential value to your property, and can be constructed in a fraction of the time. A timber garden home office can also usually be built without the delays or cost associated with planning permission issues. Timber garden home offices provide comfort, secure and professional working environment. They are environmentally friendly and undoubtedly add style and kudos to your professional persona. 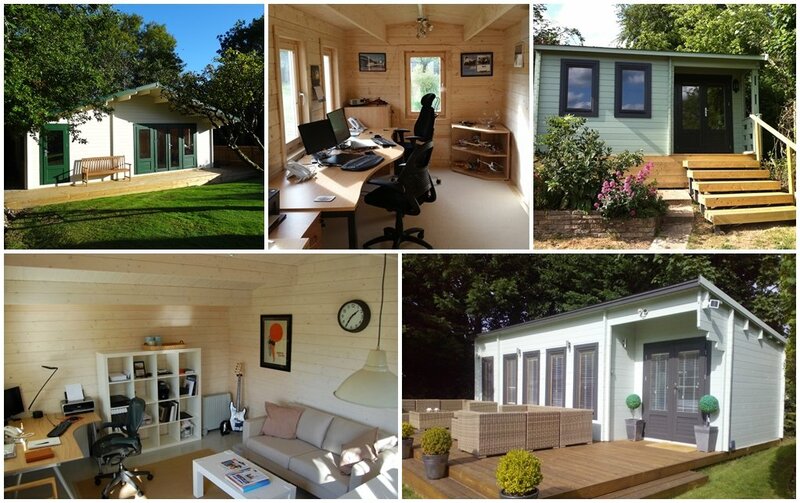 Our garden offices are constructed from Siberian spruce with an interlocking plank system. This method is superior in every aspect to the conventional panel options offered by other manufacturers. Your garden office is built using a double tongue and grooved wind lock system that is a natural barrier to the elements. This is available on all our garden offices with a 35mm wall and above. Your garden office in London will have double glazing and insulated cavity calls to provide the extra warmth and comfort for the all year round ambiance. In addition, if you should have your own design or layout in mind for your garden office, we offer a free‘bespoke log cabin design service for those looking for something more individual and unique. All our garden offices come with a 12 month guarantee on all materials and workmanship. If you live in London, and want to find out more about our top quality garden home offices, simply get in touch. Please call us for more information about your garden office, or come and see the Cabins for yourself at one of our display villages in Surrey.